1035 Woodgate Drive St Louis, MO. | MLS# 18086367 | Real Estate in Saint Charles and Saint Louis Areas, including Saint Charles, Saint Peters, Weldon Spring, O' Fallon, Wentzville, Dardenne Prairie, Creve Coeur, Chesterfield, Florissant, Hazelwood, Kirkwood, Des Peres, Saint Louis City, Homes for sale. As-Is Opportunity!! Location Location Location!!! This location seems to be super convenient!! 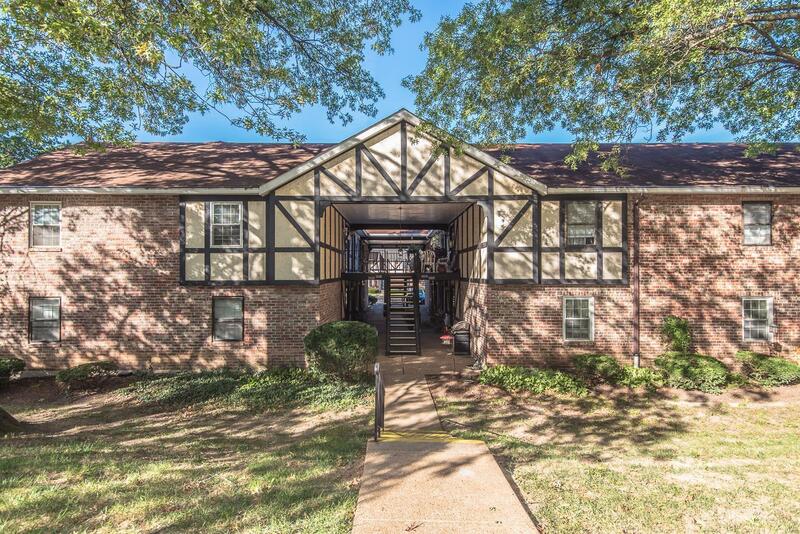 Minutes from shopping, dining, malls, & much, much more! !Quaint condo needs new owner!! There is so much potential here. Step inside & you'll find a large living room area (imagine brand new flooring & a fresh coat of paint), take that same vision right on into the dining room & instantly these two rooms will feel fresh, bright & open! If you want to move in & do the work while living there that's perfectly fine because the kitchen comes with all the appliances (dishwasher isn't working) PLUS washer & dryer, in large laundry rm, get to stay for the new owners convenience at no additional cost! The Master Bedroom is pretty large & the walk in closet is a nice feature! Master also has its own full bathroom. Such a nice complex, w/a large common ground area and private in-ground pool!! So many great things to say about this place! Don't wait, it will be gone!